Amongst plenty of raging creatively incendiary triumphs to have bruised the year, the Gaffe EP from noise rock band Pigs stood out with ease, its trio of tracks a thrilling rapacious bridge between the band’s acclaimed debut album You Ruin Everything and the bands coming follow-up release scheduled for early next year. Consisting of Unsane’s Dave Curran, Jim Paradise from Player’s Club, Freshkills and Hellno, and renowned producer Andrew Schneider (Cave In, Converge, Made Out of Babies, Unsane, Keelhaul), Pigs confront the senses and imagination with a unique and instinctive fury of intensive sonic weight and antagonistic adventure. To find out more about the origins of Pigs, the member’s numerous and constantly commanding projects, Cheap Trick and more, we had the pleasure of talking with guitarist and vocalist Dave from the NYC band. 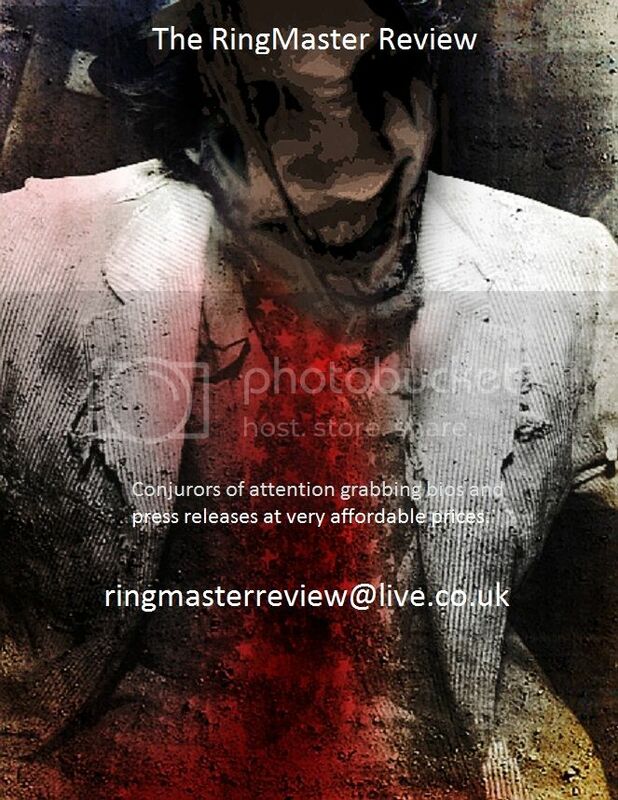 Hello Dave and welcome to The RingMaster Review, many thanks for taking time to chat with us. Firstly can we get you to tell us about the beginnings of Pigs, how you all met and the spark to form the band? Jim Paradise and I had known each other for years from playing in Players Club together. In 2008 I had demo-ed 20 or so songs playing guitar, and let Jim hear them. He then suggested we start a new band. Pigs was born. We started out as a 2 piece then hired Bob Russell on bass and Eric Cooper on guitar. Bob could unfortunately not tour because of his work, and Cooper moved to Texas. Enter Andrew Schneider… Andrew and I met while he was recording a Keelhaul record at his studio. I asked if he would record the next Unsane record and join Pigs on bass, he said yes and yes! He’s been with us ever since. You were heavily involved in other bands at the time of coming together, and of course continue to be, so did Pigs simply come out of filling spare time between projects or was it an idea long in thoughts and the waiting? I had some down time and wanted to start a new project where I played guitar again. We all clicked from the onset and decided to keep at it. Initially the band was a quartet and now of course a trio; how has that leaner set up enhanced the band if at all? 10 million dollars divided by 3 is better than 10 million dollars divided by four? Not sure if it’s better or not, it’s just the way it wound up. You have just released the outstanding Gaffe EP, a three track incendiary bruising which for us feels like a natural offshoot of your debut album You Ruin Everything whilst pointing at an incendiary evolution in process. How does it feel from the inside? I like the EP. There was no conscious effort toward any evolution; I suppose that’s just how things go in general. I like challenging myself, as do the other guys, which hopefully leads to a more interesting end result. How has your sound moved from the first album, is there any aspect which you feel has found a particularly distinct step forward? I’d like to think our sound would simply progress every record. It’s something you have to work at but when it’s fun it should be no sweat. We always throw around tons of ideas and keep the ones that strike as interesting and, more importantly, don’t sound like anything we’ve done before. How do songs come about in Pigs? It depends, some I write at home and bring ideas to practice for us to work on. Often we just write together. Are there situations where ideas maybe thought up for your other projects have found a perfect home with Pigs or in reverse, ideas created as Pigs you felt would work better in your other bands? Nope. All Pigs songs were written for Pigs. How much time is there for Pigs in comparison to your other projects; is there an element of urgency to everything about the band, a need to explode in every aspect just to fit things in or is it a more relaxed situation time wise? We’re all fairly busy when we’re home, but we always make time for writing and touring. It’s just a more focused schedule but nothing terribly stressful. Does the band in some way give you a creative freedom maybe less accessible in your other projects and bands? We all went into this with no structured plans for Pigs at all. We basically keep songs that feel right to us. Then again I’ve never felt musically stifled in any other projects I was in. As mentioned earlier Gaffe is three song storm containing two original and one cover. The new songs have, as well as an evolution in sound as talked of, a more defined voraciousness to their creative ‘scourge’ and intensity. Something you feel also? Well, 2 songs are covers actually. Cheap Trick and Betty Davis ‘If I’m in Luck’. But why not! Voracious and Scourgey as all hell! You mentioned there the Cheap Trick song, a brilliant cover of Elo Kiddies, a song with for us where Cheap Trick meets Alice Cooper meets KEN mode. What sparked your choice of the song and how did you approach it to make the track something with a unique Pigs feel? You have just completed a European tour with one of our favourite bands, French noise metallers Sofy Major. How did that go? Terrible, those guys are jerks… Ha! Not at all, great band, great guys. The tour was very fun, can’t wait until the next one. What comes next for Pigs, can you give any hints or secrets away about the next album? That’s it for me except Melvins tours. Andrew has a bunch of recording coming up as well as the re-opening of Translator audio soon! Once again thanks Dave for sharing your time with us. Any final thoughts or words you would like to leave us? Following on from their enjoyably riotous acclaimed debut album You Ruin Everything, noise rock band Pigs unleash the Gaffe EP to satisfy and ignite the senses as the band work on their second album. The three track release is a bruising exhilarating encounter which flows like a seamless offshoot of its predecessor whilst showing an evolving sound which suggests the NYC trio’s upcoming sophomore rage could be one incendiary blaze. Consisting of Unsane’s Dave Curran, Jim Paradise from Player’s Club, Freshkills and Hellno, and renowned producer Andrew Schneider (Cave In, Converge, Made Out of Babies, Unsane, Keelhaul), Pigs confront the senses and imagination with another fury of noise spawned rock causing mayhem in a sludge bred climate of intensity and sonic weight. As mentioned it is a fluid continuation to what was so successfully magnetic upon You Ruin Everything but also offers arguably a more assured presence which sees the band settled in their aural premise whilst stretching and challenging its limits. It is not a dramatic move but one which certainly on two of the tracks, even if one is a cover, which lightens the load if not the force of the impact of songs upon the nervous system. Released via Solar Flare Records, Gaffe opens with its title track and immediately enslaves the senses and appetite with a growling bass prowl unleashed by Schneider. Hungry and intent on the ear’s submission it is helped and egged on by the sinew thrusting beats of Paradise, the union an irresistible temptation which is soon brought to greater potency by the scorching flames of guitar invention, the scorched sounds an acidic treat conjured by Curran whose vocals equally add heat and raw passion to the encounter. A pulsating slab of dirt encrusted rock ‘n’ roll with addiction laced hooks and vociferous sonic grooves, the song is an irresistible scourge of ridiculously contagious discord soaked noise and melodically twisted persuasion. It is a mighty opening easily equalled by Elo Kiddies, a sensational cover of the classic Cheap Trick song. To say the band has beefed up the song is an understatement; the still virulently infectious track coming with balls of steel and walls which leer intimidatingly down on the ear as the band kicks sand in the face of the senses stomping with aggression and attitude. The bass of Schneider again is an instant enslavement of the passions, its carnivorous snarling and ravaging of the air a masterful temptation alongside the main barbed lures of the song, that familiar groove and catchy chorus. Like Cheap Trick meets Alice Cooper meets KEN mode, but distinctly Pigs in presentation, it is easily one of the best covers in recent times and another dramatic reason to get the EP. The final song If I’m In Luck is no slouch in recruiting the passions either, the seven minute track an intensive sludge fuelled slice of primal breath and sonic exploration twisted into an intrusively enthralling swamp of energy sapping, imagination invigorating, smothering heat which drags the emotions through its heavily pressurising climate of punishing beats and gravelly bass rapaciousness veined by searing guitar fire and sonic voraciousness. With the vocals of Curran a caustic wash soaking the riveting pull of the track, the closer is a slow burning high impacting furnace of excellence and corrosive craft. After allowing the Gaffe EP to confront the senses, the new album from Pigs cannot come fast enough. With the band currently undertaking a European tour with the equally excellent Sofy Major, they are building up to give noise a major fire to contemplate and greedily devour..